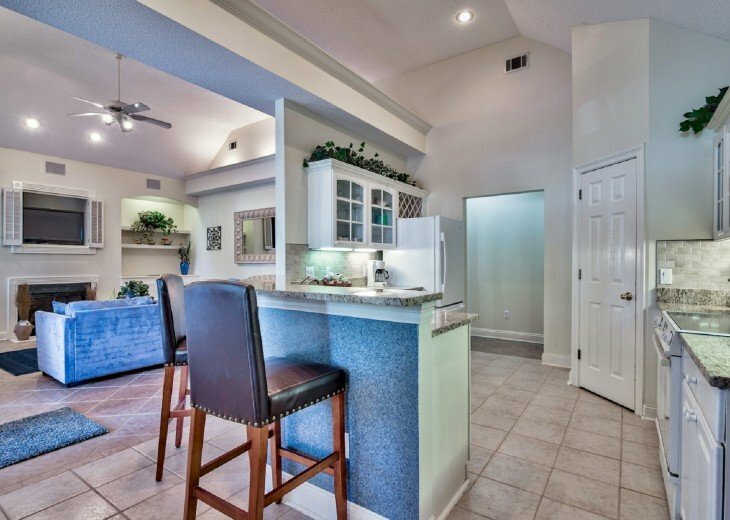 2 Bedroom House Rental in Destin, FL - May 11th - 18th still available. Book now! May 11th - 18th still available. Book now! 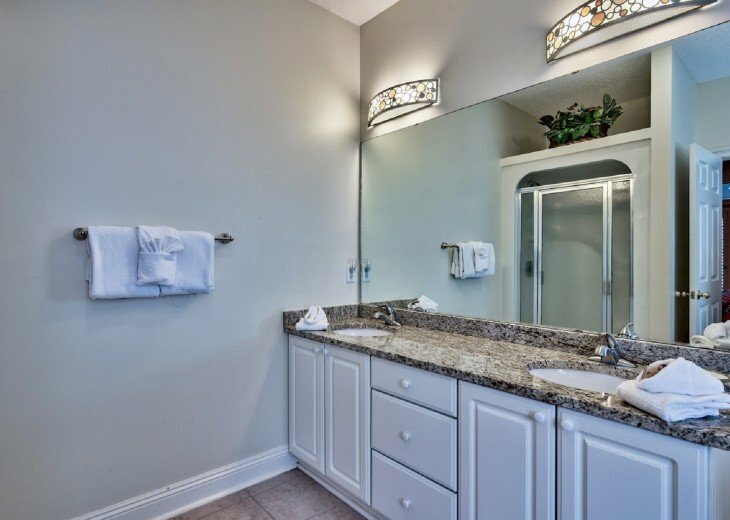 Beautifully appointed DESTIN, FLORIDA vacation home in the peaceful seclusion of the EMERALD SHORES subdivision in Destin, Florida. "Gemstone" is adjacent to the community pool and is a short stroll to the beach. Why stay in a hotel or condo when you can have the convenience of a house? 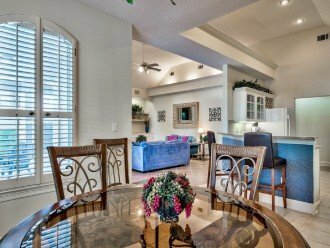 This house will enable you to relax and enjoy your vacation! 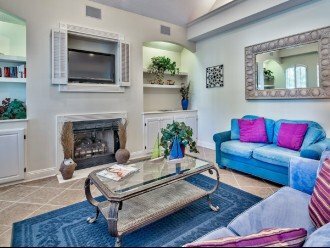 "Gemstone" is a custom-built, 1700 square foot, vacation home that features 2 spacious bedrooms, 2 sleeper sofas, and 2 full bathrooms. This home is designed to provide comfort for a total of six people. 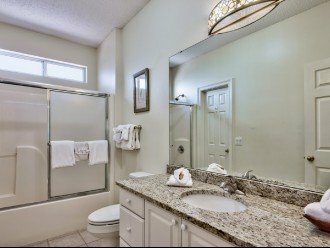 Other amenities include: High-speed internet with Wi-Fi access, granite countertops in kitchen and both bathrooms, Jacuzzi in master bathroom, washer/dryer, natural gas grill on patio, 3 TV's, cathedral ceilings, custom plantation shutters, all in an open floor plan. 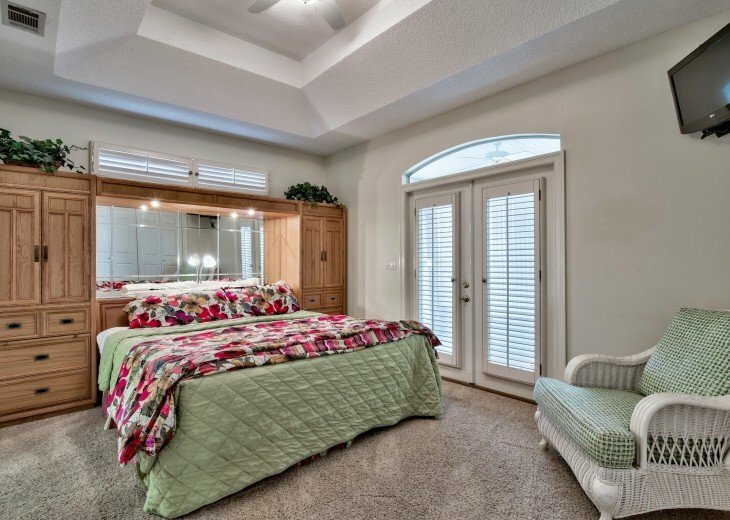 MASTER BEDROOM - features a king bed with adjoining master bathroom. 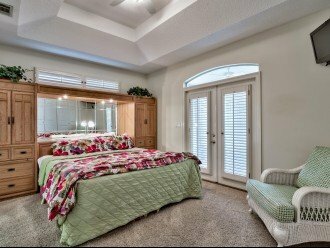 GUEST BEDROOM - features a queen bed with adjoining bathroom. GREAT ROOM with sleeper sofa. 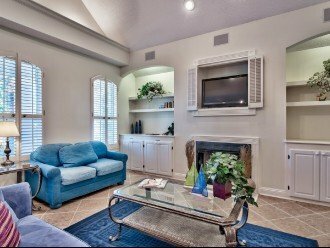 FLORIDA ROOM with sleeper sofa. 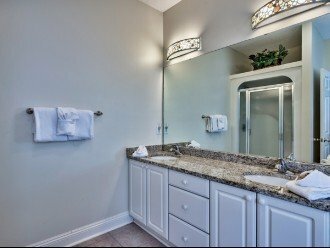 The house was custom built and has all upgraded features such as crown molding, cathedral ceilings, custom plantation shutters, in an open floor plan. Captain Dave's restaurant on the gulf. $350 is required to reserve the house. 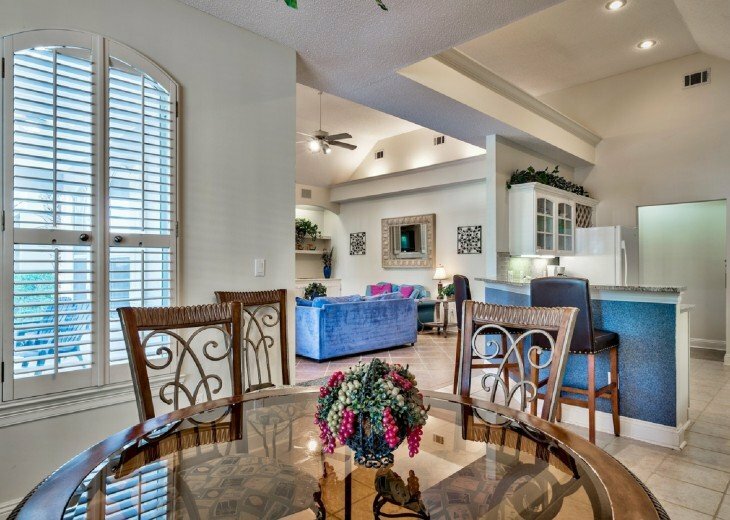 The balance of the rental fee is due sixty (60) days prior to check-in. About the owner: My wife and I live in the Cincinnati, OH area and have been married for almost 30 years. Why this property? We decided to purchase our property because we love the area and all that it has to offer. We recently spent a week in Emerald Shores, staying at Gemstone. Very comfortable home with everything you need. Close to the beach. Really nice and comfortable community for much needed rest and relaxation. Can't wait to go back. This is a lovely home. It was well-equipped and beautifully decorated. Everything was spotless. 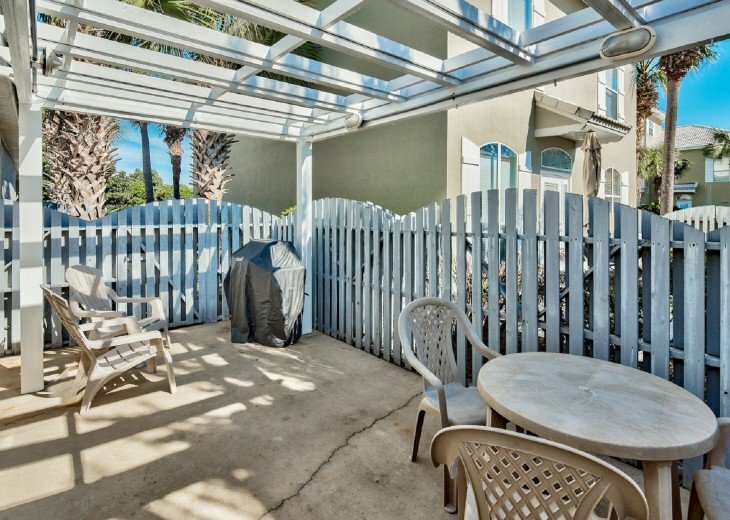 It's a short distance to a private beach, in a gated community. We definitely recommend it, and hope to return in the future. My family has stayed at the Destin Gemstone several times over the last ten years and have only good things to say about it. 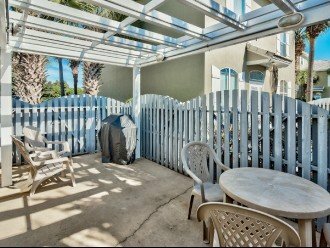 It is located within 50 feet of the community pool and within a five minute walk to the beach. 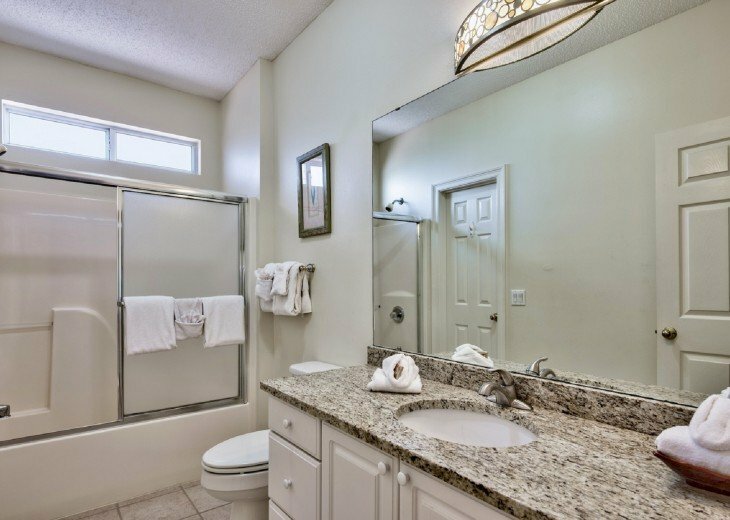 It has always been well- maintained, and we have always found it comfortable and clean. Last time we visited, there was new carpet. The owner has always been very responsive and helpful. We will continue to call this place our home away from home! How far is the beach from this house? The house is a five minute walk to the beach. How far is the nearest community pool from this house? The larger, of two, community pools is located directly in front of the house (approx. 30 yards away). Yes, the pool is heated seasonally. Are there any nice gyms nearby? Yes, Gold's Gym is located at 12200 US Hwy 98 W, Miramar Beach, FL 32550 and opens at 5am. Publix, Whole Foods, Winn-Dixie, and Walmart are all within a 5-10 mile drive from the house. 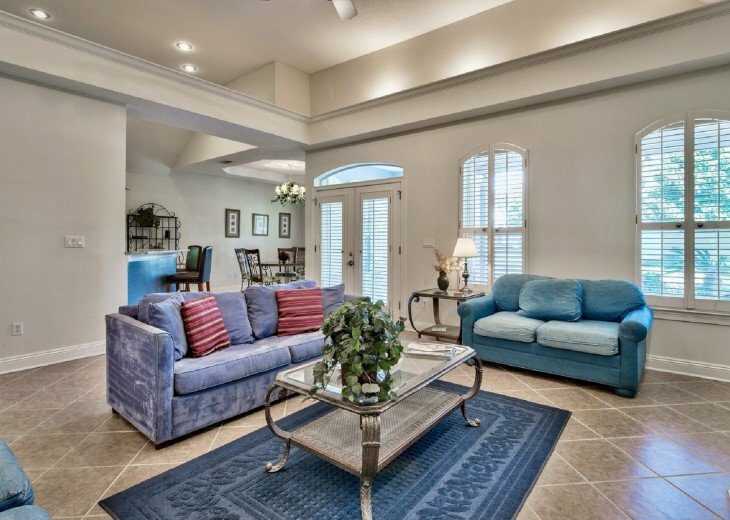 Our family of 5 recently stayed in this clean, well-furnished home in the quiet, well-kept Emerald Shores neighborhood. 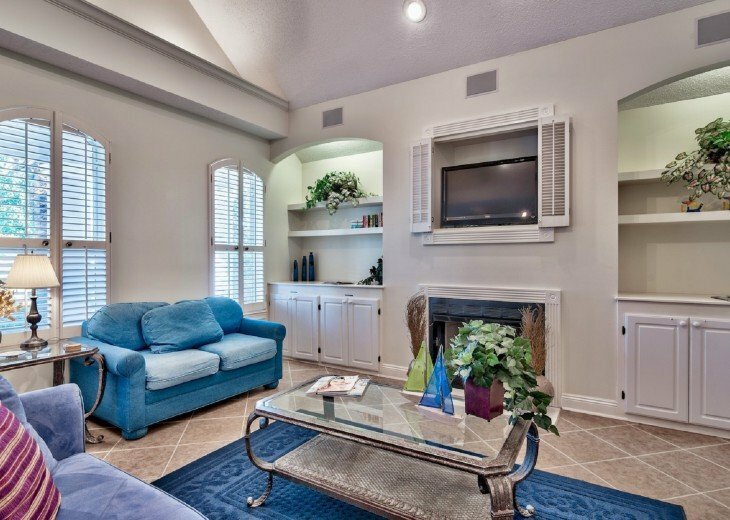 The home is located a short five minute walk from the beach. Load up the owners beach wagon with boogie boards, beach chairs and an umbrella and your on your way to a beautiful beach vacation on amazing white sand. 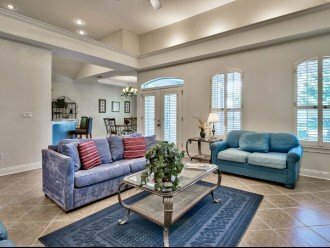 The home itself is well-maintained, has plenty of seating for watching tv, reading or browsing the internet on the included wi-fi. 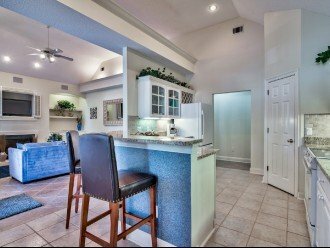 The home provides plenty of dishes and pantry space to make meals at home if you choose. It is also near several restaurants if you choose to eat out. There is a golf cart that seats about 8 that shuttles neighborhood guests from their home to about 50 yards from the beach. The shuttle operates every day from 9-4:30. The only complaint that we had was the need to purchase beach towels once we arrived in town or the need to bring them from home as they are not provided. It’s a relatively small complaint considering all the great things about the house, the neighborhood and our overall vacation experience. We would highly recommend this house to others and will definitely vacation here in the future. This was our favorite vacation to date. Thanks for the kind words Craig. 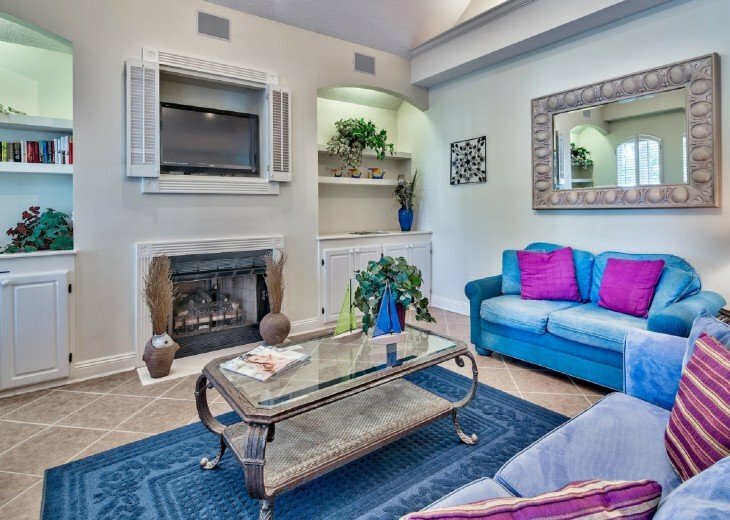 We do our best to ensure that guests have everything they need to relax and enjoy their vacation.